Not only a great cause, but adorable and fun, too! ​VBike is now on a major roll, with projects starting up around the Vermont and bringing unprecedented change to what you perhaps thought a bike is and what it can do for us. To do all this we really do require your support! We're making Vermont a leader in moving ahead with bold ideas for bicycle transportation, but also making our world way more livable. 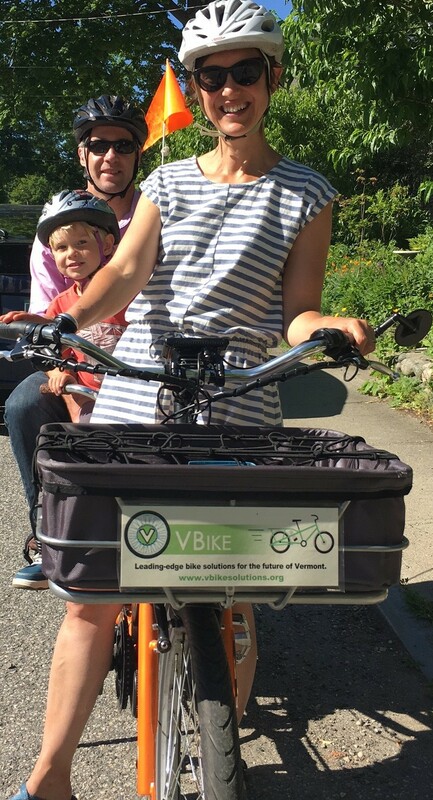 Your funds will help propel our fleet across the state, helping to bring the VBike vision to bike shops, legislators, planners and all Vermonters. You'll also be supporting us in the development of low-cost solutions, design and technology research, and a myriad of other vital projects. We encourage you to extend your financial support as far as you can! This is the moment to redefine the bike as a real local transportation option for a great number of Vermonters. If not now, then when? Post Oil Solutions, PO Box 431, Townshend, VT 05353 and make sure to earmark it for VBike. All donations are tax-deductible. Every bit counts! !